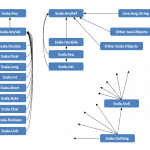 You will be surprised to know that you can also create Scala script and execute it on Windows OS(as a bat script) as well as on Linux/Unix OS(as a shell script) without any compilation. Scripting with a very high level language makes things very easier for the programmer who has a little bit experience in Scripting. If you don’t know any scripting on Windows or Linux, No problem….!!! Scala script will enable you to write your scripts in programming language. Let’s explore more details about it…..!!!!! Windows user can create some of the useful .bat scripts using Scala. But before you proceed further just make sure that Scala is installed on your machine and %SCALA_HOME%/bin path is appended to your PATH variable. When you write any .bat scala script, just make sure that you write first 5 lines of above script first and than start your scripting. Problem: Create a script file using Scala which accepts name and age as a parameter and print them in a message. C:\>message.bat Varun 29 Hello, Varun.....!!!!! Welcome to Scala Script.....!!!!! You are 29 years old. Same as Windows in Linux also you have to make sure that your Scala installation and PATH variables are proper. You can refer to my post 4 Steps to Setup Scala On CentOS for the same. Similar to .bat files you have to write below lines st the beginning of your shell scripts. Command exec will work same as call command in Windows and here also we have two parameters "$0" and "$@"
Before you execute above script make sure that you have execution rights to your shell script. Use below command for the same. Now execute your shell script and check your output. [root@backtobazics varun]# ls -l total 4 -rw-r--r--. 1 root root 251 Jul 18 08:48 message.sh [root@backtobazics varun]# chmod +x message.sh [root@backtobazics varun]# ls -l total 4 -rwxr-xr-x. 1 root root 251 Jul 18 08:48 message.sh [root@backtobazics varun]# ./message.sh Varun 29 Hello, Varun.....!!!!! Welcome to Scala Script.....!!!!! You are 29 years old. Congratulations…..!!!!! Now you can do scripting very well in Windows as well as Linux using your programming knowledge in Scala.